For the development of a quality application, it must go through the critical phase of testing – for the newly-designed code for any bugs or malfunctions, for a seamless functioning of the UI providing the best customer experience, for security, robustness, and a lot more. Any application needs to go through this rigorous testing process because it will be used in different systems, environments and scenarios. 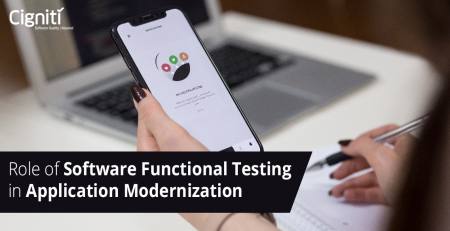 Most CXOs get interested in knowing more about how to implement functional test automation once they hear about how it can help increase the profitability of their application. A look into why you need to automate your functional tests for an agile and continuously constructive feedback during the coding process will showcase in detail the benefits for your business. It is always better, in terms of business RoI, to release slightly less ambitious but functionally robust products than an innovative, but unpredictable and unstable app. Reputation: Functional test automation of the code at the end of a development cycle ensures that your application releases without any bugs or malfunctions. This preserves and improves the reputation of your business and application, thereby increasing your profitability quotient and RoI. Controlled Testing Environment: Under controlled testing scenario, applications are put under stress to check their capacity and break-point as part of in-house testing. 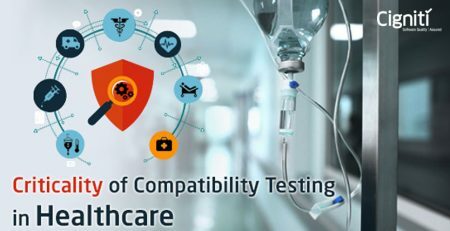 It allows your application to be tested beyond its capacity. Your application can be put through numerous possible scenarios to assess its scope, thus giving your application better stability under stress. This improves the stability and scalability of your application, thus improving its marketability, and therefore, better profitability. Early Bug Detection: Your application, in the development stage, needs continuous, end-to-end testing. Functional test automation allows your code to be tested repeatedly so that your team will be able to detect and decipher problems early in the development process. Using practices such as Agile, shift-left and DevOps, applications can be tested earlier on in the process. Early detections allow your application to be free of bugs, glitches and data bottlenecks. This saves time so that your team does not reach the end stage to understand the glitches and it can be caught in the earlier stages so that they may proceed in the right direction. In application development, this means saving time, effort and money – resulting in better RoI for the business. Patching Glitches: Every application before its release needs to be glitch and bottleneck free. Functional test automation acts as a helpful tool to figure out the possible glitches and helps identifying and thereby reducing those glitches. 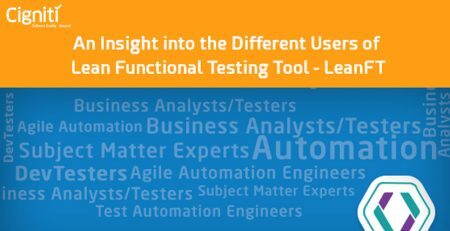 In-depth Testing: Functional test automation allows you to cover each aspect of your application’s code and perform a thorough, end-to-end testing instead of selective testing. This ensures that the application code is tested for any compatibility issues, essential for a successful launch of any application. Speed and Accuracy: Functional test automation allows your application to be tested in a shorter span of time with greater accuracy. It also provides a greater coverage for quicker detection of issues and ensures that your application is tested at any time without taking any shortcuts. This means your application can be released at a quicker pace. Accessibility: Functional test automation allows access to objects, data, as well as operating systems etc. to test suite in depth. Flexibility: As your application becomes more complex, functional test automation tools can be used again and again as and when needed with more agility. This means your application can be updated at a faster pace. An application that is updated at a regular interval will have better image in the market, which in turn means better profitability. For any application that your company releases, it is essential that as a CXO, you ensure to patch out glitches before moving toward official launch or delivery of your application to the client. The greater the quality of the application you deliver, the better your company’s image as a professional development firm.